Smallholder farmers in the country have been urged to operate in corporatives to access finance and markets easily. This would also strengthen production efficiency and profitability. 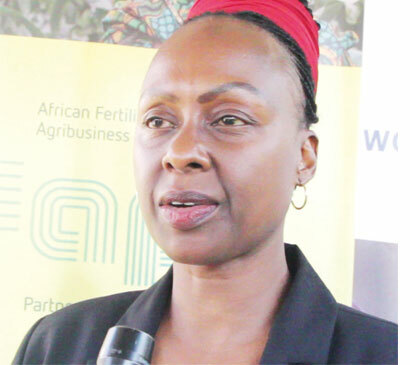 African Fertilisers and Agribusiness Partnerships (Afap)-Malawi Country Director Malawi, Sheila Keino, made the call during the ‘Building Value Chain Linkages for Increased Agricultural Productivity’ forum in Lilongwe on Tuesday. Keino said there is a gap between farmers and players from the private sector, is leading to exploitation of farmers by middlemen. “We are looking at access to inputs such as fertiliser, seeds, crop protection access to finance, access to insurance, markets, diversification, mechanisation and the entire value chain and that is why we have brought financial institutions who are able to give loans to farmers as little as K10, 000 and as much as K1, 000. 000. We even have the World Bank because we understand that access to finance remains a challenge in Malawi,” Keino said. Farmers Union of Malawi Chief Executive Officer, Prince Kapondamgaga, said access to finance remains a challenge among small scale farmers. “As of now we are not very clear on the institutional arrangements that will be established to run this bank and also we don’t know how much funds will be invested in this bank to run it so I don’t think we are at a stage where the government has shared information,” Kapondamgaga said. Principal Secretary in the Ministry of Industry Trade and Tourism, Ken Ndala, commended Afap for the initiative. He said the initiative is complementing the government’s initiative of improving agriculture sector’s input to the economy.